Harnessing just the power social media and a strategically placed £1 Pineapple from ASDA, artists Ruairi Gray and Lloyd Jack disguised themselves as Scottish business students as bait for the media. The elaborate ruse was years in the making. To create a sense of authenticity meticulously crafted Twitter, Facebook, Instagram, and Snapchat accounts had to be maintained by the artists over a number of years as they planned their elaborate stunt. Amazingly the prank was over a week old before the media finally spotted it! But as to be expected the Daily Mail were first to break the story. Good work lads, magnificent journalism. Contemporary art can be baffling. When does an everyday object become a work of art? A university student recently discovered an ordinary pineapple can be transformed into a gallery piece simply by placing it within an exhibit, after he did just that. Does This Single Pineapple Qualify As Art? Ever since the first fistfight broke out over foraged ramps, culinary snobs have asked themselves: Is food art? If one student’s story is to be believed, then Scotland’s Robert Gordon University has weighed in on the conversation with a resounding yes. (WFLA) — Students in Scotland are being praised for their brilliant artwork, but it all started as a prank. Ruairi Gray and his friend Lloyd Jack left a pineapple as an innocent joke in the Robert Gordon Unversity’s art gallery. Four days later when they returned to the gallery they were surprised to see the gallery thought they created a work of art and encased the pineapple piece in a glass box. The photos are getting some buzz on social media surrounded their creation of modern art. A Scottish business student decided to find out: What is art? He got a pineapple and put it on a museum exhibition table to see if it passed for art. It did. The museum had put a glass case over it. A pineapple deliberately left inside an art museum was mistaken for a piece of art by staff – and put on display. Prankster Ruairi Gray, 22, bought the £1 tropical fruit and left it inside the Robert Gordon University in Aberdeen, Scotland, as a “joke”. However, he was stunned to discover that officials had placed the pineapple inside a glass case and put it on display, believing it to be one of the museum’s exhibits. Hundreds of students and lecturers praised the pineapple piece and it was only discovered to be a prank after TWO DAYS of being on display. The picture of the pineapple prank has now gone viral and notched up thousands of retweets and likes. A stunned Ruairi, who is originally from Edinburgh, told MailOnline: “I saw an empty art display stand and decided to see how long it would stay there for or if people would believe it was art. “I came in later and it had been put in a glass case – it’s the funniest thing that has happened all year. “My honours supervisor saw it and asked an art lecturer if it was real because he could not believe it. What seems like a speck of dust to you, will be an exquisite work of art for another. Welcome to the convoluted world of art where people, more often than not, are just plain confused. To test just how confused people are, two students from Scotland, left a pineapple as an innocent joke at an art gallery. Four days later when Ruairi Gray and his friend Lloyd Jack, got back to the Robert Gordon University’s art gallery, they were stumped by what they saw. The pineapple was put into the display case and left for two days. Hundreds of visitors couldn’t stop praising the ‘brilliant’ piece of art. “I saw an empty art display stand and decided to see how long it would stay there for or if people would believe it was art. I came in later and it had been put in a glass case – it’s the funniest thing that has happened all year. 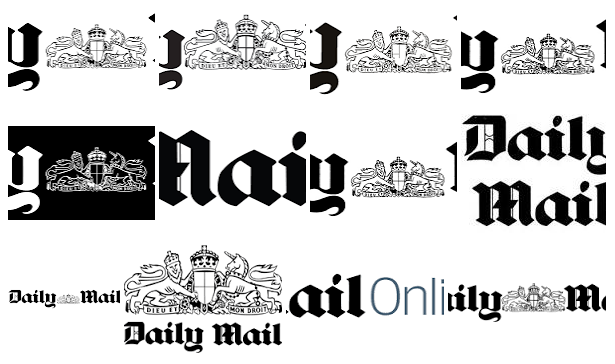 ” Ruairi Gray told Daily Mail. In a similar incident last year, 17-year-old TJ Khayatan placed an ordinary pair of glasses on a art museum floor to see how people would react . Soon, people huddled around it and started clicking pictures, assuming it was the most exquisite work of art. This is herd mentality at it’s best! A student from Aberdeen has done Tracey Emin and the like no favours by leaving a pineapple at an art exhibition as a prank before later discovering it had been mistaken for art. Ruairi Gray, 22, had bought the pineapple as a ‘joke’ but discovered the next day that it had been put on show in a glass display case in the centre of the exhibition at Robert Gordon University. The prank worked so flawlessly that the piece of fruit was apparently on display for six days before it was taken down with the rest of the exhibition. Ruairi, who is originally from Edinburgh, told metro.co.uk that he had bought the pineapple to tease a friend but was stuck with it after the joke fell on deaf ears. ‘We were stuck with this pineapple, we didn’t know what to do with it, until we saw this empty art display. Our goal was to see how long it would remain there before being removed,’ he said. After placing the pineapple on the empty display stand on a Thursday, the fourth year business and information technology student returned four days later to find it had been put in a glass display box. ‘We were shocked and in disbelief. We didn’t stop laughing for about 10 minutes,’ he continued. He explained his tutor had been at the exhibition and asked an art lecturer whether the piece was real. The art exhibition called Look Again challenged visitors to ‘look at the places and spaces around us through fresh eyes’. Sally Reaper, Look Again Festival Director said: ‘It’s a bit of a mystery – we really have got no idea who did it. It was very clear to us it was a prank but we have decided to leave it there because it’s in keeping with the playful spirit of our festival. ‘I saw an empty art display stand and decided to see how long it would stay there for or if people would believe it was art,” Gray told MailOnline. The friends returned four days later to discover that the pineapple had been placed under a rectangular glass case. Surprised and pleased at his pineapple’s upgrade from yummy fruit to work of art, Gray photographed the encased fruit and posted it to Facebook. Organisers of the show claim they don’t know who placed the case over the pineapple, but Press and Journal reports that they’ve decided to keep it in the show. What does Gray think of his new status as a contemporary artist? A pineapple left at an Aberdeen university exhibition as a prank has now been adopted as a work of art. Business information technology student Ruairi Gray decided to abandon his fruit at the Look Again exhibition at Robert Gordon University’s Sir Ian Wood building in the hope it would be mistaken for an art piece. When he returned four days later the 22-year-old was shocked to discover the pineapple had been put inside its own glass display case. It remains unclear exactly who decided to give the “artwork” such prominence, but the curators of Look Again have kept the fruity piece on show, saying it reflects the “playful” spirit of the artist’s display. Last year a random pair of glasses were mistaken for art when they were left on the floor of the San Francisco Museum of Modern Art. Now a pineapple is reportedly fooling people in the same way. Two students placed the £1 pineapple in the middle of an art exhibition at the Robert Gordon University in Scotland. Ruairi Gray and Lloyd Jack left the fruit there four four days and said that when they returned it had been encased in glass and was posing as an exhibit. Speaking to MailOnline, Gray said, “I saw an empty art display stand and decided to see how long it would stay there for or if people would believe it was art. An assistant who organised the display said she did not include the pineapple because she has an allergy. Natalie Kerr told Press & Journal that she came back “after 10 minutes nad it was in this glass case”, something she said was “a bit of a mystery”. However, she decided to leave it where it was because it was in keeping with the “playful spirit” of the exhibition. ‘I’m hoping for an honorary art degree now’. A pair of students claim to have tricked experts into believing a pineapple was art after they left the fruit at a gallery in Scotland. Robert Gordon University undergraduate Ruairi Gray and his friend Lloyd Jack reportedly left a £1 pineapple at the uni’s Look Again exhibition in the hopes of pranking visitors. But the duo said they were “shocked” when they returned to the gallery days later and found it had been placed in a glass display case. Business information technology student Gray told MailOnline: “I saw an empty art display stand and decided to see how long it would stay there for or if people would believe it was art. “I came in later and it had been put in a glass case – it’s the funniest thing that has happened all year,” the 22-year-old added. The prank has gone viral, with more 1,000 people sharing the photos and almost 4,000 liking Lloyd’s tweet. “Turner Prize nominee?” one social media user joked. But it is still a mystery who put the pineapple into a display case. Kerr, who says she is allergic to the fruit, continued: “It’s a bit of a mystery – the glass is pretty heavy, and would need two or three people to move it, we’ve got no idea who did it. The prank comes a year after someone put a pair of glasses on the floor in the San Francisco Museum of Modern Art and people genuinely believed it was an art installation. A student at a university in Scotland has become an ironic artist – after leaving a pineapple on a table. Ruairi Gray, a fourth year business student at Robert Gordon University, showcased his work on Facebook last week, after the pineapple he’d left was encased and displayed as part of a museum exhibit. Natalie Kerr, a cultural assistant for the display, told The Press & Journal they were re-locating an exhibition – when they found the impromptu exhibit. “It’s a bit of a mystery – the glass is pretty heavy and would need two or three people to move it, we have no idea who did it,” she said. As for the artist, he said it was “the best possible outcome,” the Press & Journal report. “I saw an empty art display stand and decided to see how long it would stay there for or if people would believe it was art,” Gray told the Mail Online. “I was convinced someone would move it but I came in today (Monday) and it had been fully accepted as part of the art display,” he told the RGU student union. A pineapple has been given a glass display case after students jokingly left it on a plinth at an art exhibit. Students from Robert Gordon University in Scotland Ruairi Gray and Lloyd Jack reportedly bought the pineapple from Asda for £1 – before leaving the fruit in the Look Again exhibition in the university’s Sir Ian Wood building. “I saw an empty art display stand and decided to see how long it would stay there for or if people would believe it was art,” Gray, 22, told the Daily Mail. The pineapple was reportedly left on display for two days before being removed and pictures of the display have been seen by thousands since the students posted them to social media. The pineapple was unavailable for comment, but we’re sure they enjoyed their time in the limelight – or should that be pineapplelight? A student at Aberdeen’s Robert Gordon University in Scotland played a prank on his university’s modern art exhibit by leaving a normal pineapple on the exhibit floor, and was shocked to find that event organizers had later put the pineapple in a glass display case. According to the Daily Mail, Ruairi Gray, 22, a fourth-year Business Information Technology student, reportedly bought the pineapple for 1£ and placed the fruit next to an art display in the Sir Ian Wood building as a “joke.” To Gray’s surprise, the pineapple was put into the display case and left for two days, fooling hundreds of students and a few lecturers who are said to have praised the genius of the work. “I saw an empty art display stand and decided to see how long it would stay there for or if people would believe it was art,” Ruairi told Daily Mail. A similar joke happened last year at the San Francisco Museum of Modern Art, when 17-year-old TJ Khayatan placed an ordinary pair of glasses on the floor to see if anyone would to treat it as a serious work of art. Museum goers began surrounding the glasses and taking pictures to Khayatan’s amusement. As the definition of contemporary art continues to divide the public, two cheeky Scottish students have proven it doesn’t take much to become an artist in this day and age. The Robert Gordon University lads ended up causing a social media frenzy after leaving a pineapple in a gallery at the uni – only for it to be encased and displayed as a legitimate work of art. Ruairi Gray, a final-year business information technology student at the Aberdeen institution, bought the fruit from Asda for £1 during a break. He added: “I was convinced someone would move it, but I came in Monday and it had been fully accepted as part of the art display. A red-faced curator has since told The Press and Journal it definitely wasn’t her who encased it – because she’s “allergic” to the fruit. “It’s a bit of a mystery,” she added. Ruairi Gray and Lloyd Jack put a £1 pineapple on display at a Robert Gordon University exhibition and managed to convince the gallery it was a work of art. Two Scottish students have gone viral after they fooled an art gallery into believing their £1 pineapple was a work of art. Ruairi Gray, 22, and Lloyd Jack, 22, placed the fruit on display at a Robert Gordon University exhibition and were stunned to find the pineapple had been put in its own glass case when they returned days later. Mr Gray told MailOnline: “I saw an empty art display stand and decided to see how long it would stay there for, or if people would believe it was art. Rudy Gairi’s pineapple gets the fine art treatment at the Robert Gordon University in Scotland. Is it tropical fruit or is it art? The big question came up in a Scotland museum recently as a prankster placed a pineapple on an empty display stand, wondering if people would mistake the supermarket fruit for a piece of serious culture. A few days later, he returned and, surprise!, the fruit had been placed in a glass case. Ruairi Gray, 22, a business information technology student at Robert Gordon University in Scotland came up with the idea along with his friend Lloyd Jack while checking out an art exhibit at his school. The Scotland prank recalls a similar one played in our own San Francisco Museum of Modern Art in 2016 when a Bay Area teenager placed a pair of glasses on the gallery floor and people gathered round studiously wondering what it all means. Jay Z may have rapped about Picasso but for one San Francisco teen, a recent trip to the city’s Museum of Modern Art was less than thrilling – so he found a way to make it way more interesting. Angeli Kakade (@angelikakade) has the story. Two Aberdeen students caused a social media storm after they appeared to successfully pass off a pineapple as a piece of art at a gallery. Ruairi Gray, 22, and friend Lloyd Jack, 22 put the £1 fruit on display at a Robert Gordon University exhibition to trick people into believing that it was a work of art. The duo were then “shocked” when they returned a couple of days later to find their pineapple had been moved into a glass display case. “Art is never something I had considered but I’m hoping for an honorary degree now,” Mr Gray, a Business Information student joked. The prank has gained much attention online with over 1,000 people sharing the photos and over 4,000 liking Mr Jack’s tweet. Natalie Kerr, who organised the Look Again exhibition, told the Press and the Journal, “we were moving the exhibition, and came back after ten minutes and it was in this glass case. “It’s a bit of a mystery, the glass is pretty heavy and would need two or three people to move it,” said the cultural assistant, who claims to be allergic to the fruit. Students who left a pineapple in the middle of an art exhibition “as a joke” were amazed to return to find the fruit on show in a glass case. Ruairi Gray, 22, and his friend Lloyd Jack left the pineapple in the middle of Aberdeen’s Robert Gordon University having bought it from a supermarket for £1. They returned four days later to find that the fruit had become part of the exhibition and encased in a glass display. A picture of the pineapple on display has since gone viral and has been shared thousands of times. Mr Gray told the Mail Online: “I saw an empty art display stand and desided to see how long it would stay there for or if people would believe it was art. Natalie Kerr, a cultural assistant for the festival who organised the display, said it was a “mystery” who put the pineapple in the case. Officials have since removed the exhibition after releasing the mistake. Ms Kerr told the Press & Journal: “My honours supervisor saw it and asked an art lecturer if it was real because he could not believe it. If visual art is all about context, then two student pranksters can now claim their “Pineapple on a Pedestal” is the hottest new installation at their university gallery. Ruairi Gray and his friend Lloyd Jack have confessed to pranking curators at the Robert Gordon University art gallery, by leaving a pineapple on a vacant display case in a room dedicated to visual art. Staff at the gallery in Aberdeen, Scotland, apparently mistook the pineapple for an installation and placed it under glass, making it part of the exhibit. The pineapple was mistaken for part of the gallery’s Look Again: Visual Art and Design Festival. Two students managed to sneak a pineapple into an art exhibition in Aberdeen’s Robert Gordon University after staff mistook the fruit for a piece of art. Lloyd Jack and Ruairi Gray left the pineapple in the ‘Look Again’ exhibition in the vain hope that someone would think it was art and were beyond surprised to return four days later and see that not only had that happened, but a glass case had been placed around it. Everyone knows that art is subjective, and that, say, one man’s urinal may be another man’s masterpiece. Or that one man’s pineapple may be … Well, still just an actual pineapple, in the case of 22-year-old Ruairi Gray, a student at Robert Gordon University in Aberdeen, Scotland. But for a few days, a perfectly ordinary pineapple masqueraded as something more when Gray and his friends left one in the middle of a university art exhibition as a joke, only to come back a few days later to find it moved to a glass display, as you can see in the above photos. If anyone is wondering, Gray is not actually an art major but in his final year studying business information technology, although he says he’s hoping the stunt will earn him an honorary degree. And they may as well, with all the attention the university is getting from it. Ever since the first fistfight broke out over foraged ramps, culinary snobs have asked themselves: Is food art? If one student’s story is to be believed, then Scotland’s Robert Gordon University has weighed in on the conversation with a resounding yes. Ruairi Gray says that he left a pineapple at a university art exhibition called Look Again, and when he returned four days later, he found the tropical fruit inside a glass display case. He tells the Independent that he wanted to see “how long it would stay there for or if people would believe it was art,” though it’s not exactly clear how the pineapple wound up in the case. One of the organizers, Natalie Kerr, says it couldn’t have been her because she’s allergic to pineapple, but she believes it had to be a conspiracy because moving the glass requires two or three people. It’s not clear whether anyone has questioned the pineapple itself about its motivations. Making fun of modern art will never get old, and nor does it deserve to. Ruiari Gray, a student at Robert Gordon Unversity in Scotland, was recently visiting an exhibition at his school’s gallery when he decided to play a prank with his friends. Gray purposefully left a pineapple in the middle of the exhibit and hoped people would think it was art. You can complete the rest of the story. Four days later, Gray returned to find that his pineapple was now encased in a glass box, forever memorialized as art. “I came in later and it had been put in a glass case – it’s the funniest thing that has happened all year. My honors supervisor saw it and asked an art lecturer if it was real because he could not believe it,” Gray told The Daily Mail. It’s unclear who moved the pineapple into the case or what motivated them. A curator for the event reported that the glass was actually quite heavy, so it would have taken a considerable effort. And to be fair, pineapples are one of the top ranked fruits in the world, according to my highly unofficial estimate. They are delightfully juicy and best served in heavy fructose corn syrup in a miniature Dole fruit cup. Cut correctly, they’re an absolute work of modern art. Art: Abandoned pineapple put inside glass display case. A pineapple jokingly placed on a table in an art exhibition has been put inside a glass display case by curators. Robert Gordon University (RGU) student Ruairi Gray abandoned the piece of fruit at the Look Again exhibition as a prank. When he returned to the building a few days later on Monday, May 1, he found a glass case had been placed around the pineapple and it had been kept among the artworks. The business information technology student continued: “This was the perfect way to end my time at university”. Ruairi Gray, a business information technology student at Robert Gordon University in Scotland, and his friend Lloyd Jack, reportedly left the fruit at the Look Again exhibition at RGU’s Sir Ian Wood building, hoping that it might be mistaken for art. The fruit is still on display. A pineapple that was left in a Robert Gordon University art exhibition as a prank has now been adopted as a work of art. Business information technology student, Ruairi Gray, decided to abandon his fruit at the Look Again exhibition at RGU’s Sir Ian Wood building, in the hope it would be mistaken for an art piece. But when he returned four days later, the 22-year-old was shocked to discover the pineapple had been put inside its very own glass display case at the event. It remains unclear exactly who decided to give the “artwork” such prominence, but the curators of Look Again have kept the fruity piece on display, saying it reflects the “playful” spirit of the artist’s display. Mr Gray said: “When we came in last Monday morning, someone had put it under glass and made it part of the display. Natalie Kerr, a cultural assistant for the festival who organised the display, denied putting the pineapple in the case on very good grounds. Namely: she’s allergic to these fruit items. it couldn’t have been her because she is allergic “We were moving the exhibition, and came back after 10 minutes and it was in this glass case. “It’s a bit of a mystery – the glass is pretty heavy, and would need two or three people to move it, we’ve got no idea who did it. “But it’s still there now, we decided to keep it because it’s keeping with the playful spirit of this commission. “A theme of next year’s festival is young people and play, so this puts us in good stead. Ruairi Gray, 22, left the exotic fruit in the middle of Aberdeen’s Robert Gordon University after buying it for £1 as a ‘joke’ and the next day it was put on show at the centre of the display. Red-faced officials removed the pineapple after realising their mistake – but it had already been on display for two days fooling hundreds of students as well as lecturers who are said to have praised the genius of the work. Ruairi, who is originally from Edinburgh, told MailOnline: ‘I saw an empty art display stand and desided to see how long it would stay there for or if people would believe it was art. ‘I came in later and it had been put in a glass case – it’s the funniest thing that has happened all year. ‘My honours supervisor saw it and asked an art lecturer if it was real because he could not believe it. The art exhibition was called Look Again and aimed to let visitors ‘look at the places and spaces around us through fresh eyes’. Ruairi, who is in his final year studying business information technology, added: ‘Art is never something I had considered but I’m hoping for an honorary degree now. What constitutes ‘art’? It’s a question that has plagued history’s greatest thinkers – and anyone who’s ever had a perma-baffled traipse around the Tate Modern will know that it often produces very different answers. But this is by far the funniest one. A student in Aberdeen left a pineapple on an empty display stand in the centre of an art exhibition at Robert Gordon University, and when he came back almost a week later he found that the discarded fruit had been mistaken for a legitimate piece of art. Ruairi, 22, who is from Edinburgh, told Metro that he originally brought the pineapple to tease a friend, but left it after the joke flopped. “We were stuck with this pineapple, we didn’t know what to do with it, until we saw this empty art display. Our goal was to see how long it would remain there before being removed,” he said. He left it on a vacant stand on a Thursday, and returned four days later to find that it been placed under a glass display box. “We were shocked and in disbelief. We didn’t stop laughing for about 10 minutes,’ he continued. A college prank has established that a pineapple, in the right setting, can be considered a work of art. Ruairi Gray, a business information technology student at Robert Gordon University in Scotland, and Lloyd Jack, set up the prickly fruit at the “Look Again” exhibition at the school in an attempt to convince patrons that it is art. Gray purchased the pineapple as a joke for a little more than $1. Hundreds of students as well as instructors, who praised its genius, viewed it as art. Art is in the eye of the beholder. That was certainly the case at a recent art show at Robert Gordon University in Aberdeen, Scotland over the weekend, when one mischievous student left a random pineapple on an empty display stand to see what would happen, as a prank. Lo and behold, a few days later curators of the festival — aptly entitled “Look Again” — had decided that the spiky fruit deserved its spot on a slab, even going so far as to enclose it in a glass case. “We were shocked and in disbelief. We didn’t stop laughing for about 10 minutes,” the mastermind behind the mischief, business information technology student Ruairi Gray, told Metro UK. He documented his activities on his Facebook, first posting a snap of the lonely pineapple placed on an empty stand. “I made art,” he said. The next images show the fruit inside its glass encasement, officially co-opted into the exhibition’s display. He added that his tutor had visited the show and asked about the pineapple, only to be told by a an art lecturer not to question the exhibit. “Of course it’s real, you can see what they were trying to do with the top of the pineapple and the glass,” the tutor was apparently reminded. And this wasn’t just a casual student exhibition; the show’s director Sally Reaper said there were 30,000 visitors to the festival. She added that it was a “bit of a mystery” how the pineapple ended in the case, but they were in on the joke all along. “It was very clear to us it was a prank, but we have decided to leave it there because it’s in keeping with the playful spirit of our festival,” she explained. Jack, who’s studying business information technology at Robert Gordon University in Scotland, told GOOD he and his friends didn’t hear any of the commentary of passersby, but took a seat and watched the confused patrons attempt to figure out the meaning of the display. He has a rather evolved opinion about what qualifies as modern art. “Fine art is visualizing an opportunity for greatness and pursuing it with all your power, not stopping at anything,” he says. While it’s still unclear who encased the pineapple or why, or even whether or not the piece should officially be defined as art, spectators moving through the space certainly seemed to enjoy the exhibit, says Jack. A student named Ruairi Gray decided to play a prank and neatly positioned the tropical fruit in the middle of an art exhibition at Robert Gordon University, only to find it had been placed in a glass display case the next day. And according to the Metro Online, the pineapple was part of a ploy to trick his friend, which soon escalated into a bid to fool staff as well as art enthusiasts that it was an innovative creation instead, and to see how long it would remain in the gallery for. And the 22-year-old was surprised to discover after almost one week the food item had not been removed. He continued: “We were shocked and in disbelief. We didn’t stop laughing for about 10 minutes. However the Look Again Festival director, Sally Reaper, knew the placing of the pineapple was a prank and chose not to remove it. May 9, 2017, 5:21 p.m.
Social media is a buzz with a piece of art that was created in the strangest way. Scottish students Ruairi Gray and his friend Lloyd Jack are being praised for their work of art that started off as a prank. The pair left a pineapple for four days in a gallery and returned to find it encased piece in a glass box. Just goes to show that you don’t have to be able to create traditional forms of art to be considered and artist. Two students left a pineapple in the middle of an art exhibition. Ruairi Gray and pal Lloyd Jack decided to plant the £1 fruit, which they’d earlier bought at a local supermarket, at Aberdeen’s Robert Gordon University “as a joke”. The pair left the pineapple on an empty white plinth. Around it, genuine works of art had been hung on walls, and put on show elsewhere. When Ruairi and Lloyd came back four days later, the food had been proudly put inside a transparent display box. Curators, it appeared, had mistaken it for a piece. “I saw an empty art display stand and desided to see how long it would stay there for or if people would believe it was art,” Ruairi told the Mail . Natalie Kerr, a cultural assistant for the university art festival and who organised the display, said the situation was a “mystery” – nobody knows who put the pineapple in a box. Natalie told the Press & Journal : “My honours supervisor saw it and asked an art lecturer if it was real because he could not believe it. A pineapple that was left in the middle of an art exhibition by two students at a Scottish university has now been “adopted” as a work of art. To their surprise, when the two friends later returned to the exhibition four days later, the pineapple had been covered by a glass case and put on show at the center of the display. Gray, a business information technology student, told the MailOnline: “I saw an empty art display stand and decided to see how long it would stay there for or if people would believe it was art. It remains unclear who had the curatorial chutzpah to elevate this lonely fruit to the status of art piece. Natalie Kerr, a cultural assistant for the festival who organized the display, denies an involvement as she is allergic to pineapple. “It’s a bit of a mystery – the glass is pretty heavy and would need two or three people to move it, we have no idea who did it. But it’s still there now, we decided to keep it because it’s keeping with the playful spirit of this commission” she told local newspaper Press and Journal. The exhibition, aptly called Look Again, incentivized viewers to “look at the places and spaces around us through fresh eyes” according to the university website. The fruity piece quickly made rounds on social media, garnering thousands of retweets, and was even praised by lecturers for its artistic originality, according to Mail Online. Ruairi, who is in his final year studying business information technology, said he had never considered a career as an artist but that he’s hoping for an honorary degree. “If anyone wants to buy the masterpiece I am now accepting offers” he jokingly said. The incident recalls a similar prank at the San Francisco Museum of Modern Art last year when visitors were fooled into thinking that a pair of glasses that had been left on the floor were, in fact, a conceptual art piece. TJ Khayatan, a 17-year-old from the Bay Area, was walking around an exhibition at the museum, apparently unimpressed by the art on display, when he decided to decided to place the glasses on the floor facing the room and walk away to see how people would react. The prank sent many on Twitter into hysterics and gave others ample opportunity to vent their frustration about contemporary art, which seemed for a number of commenters to amount to pretty much anything splotched with paint and placed prominently on display. But Khayatan himself was quick to defend art: “I can agree that modern art can be a joke sometimes, but art is a way to express our creativity,” he said at the time. 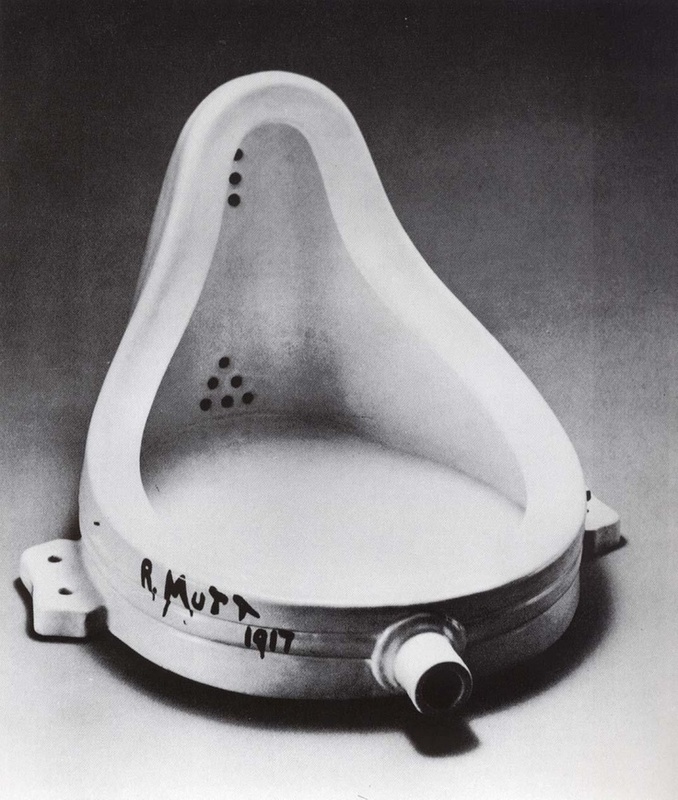 Museum curators, too, took the intervention in good humor, referencing pioneering French artist Marchel Duchamp, known for challenging long-held conventions about what art “is” in their response to Khayatan’s tweet. A pineapple has been given its own glass display case at an art exhibit in Scotland, after two pranksters left the fruit at a podium hoping gallery visitors would perceive it as an art piece. The pranksters, who were later identified as students Ruairi Gray and Lloyd Jack from the Robert Gordon University, reportedly bought the “art piece” for £1, aiming to trick experts at the university’s Look Again exhibition. “I saw an empty art display stand and decided to see how long it would stay there for or if people would believe it was art,” Gray, one of the pranksters, told the Daily Mail. “I came in later and it had been put in a glass case – it’s the funniest thing that has happened all year,” the 22-year old business information technology student added, joking that he was now hoping for honorary degree in arts. The prank also went viral after the students shared their success on social media accounts, receiving thousands of likes. According to the Press and Journal, it remained a mystery who placed the fruit into a glass display. Cultural assistant Natalie Kerr, one of the organizers of the Look Again display, said that the fruit must have been placed in the display while moving the exhibition. The exhibition decided to keep the piece on display after realizing it was part of a prank as it was in harmony with the “playful spirit” of the commission. Last year a pair of glasses left on the floor in the San Francisco Museum of Modern Art went viral after people genuinely believed it was part of the exhibition.